Acknowledge property owners who have voluntarily preserved or restored their historic home, building, or site. 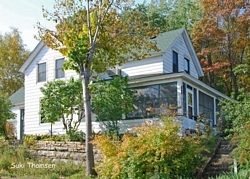 Showcase historic homes on Stillwater's Heirloom Homes and Landmark Sites Program website. Educate the general public about historic properties in Stillwater. Help property owners learn how to preserve their historic homes by providing technical assistance that shows homeowners how to maintain the historical character of their homes while also updating them to meet the demands of the twenty-first century. Preserve Stillwater's historic neighborhoods to ensure that the community maintains its identity and appeal as a historic river city and tourist destination. Click on Properties to see the full listings by Architect, Builder, etc. Click on Seach to search for a property by Architect, Builder, etc. For more information on the program please contact Michel Pogge with the City of Stillwater at 651-430-8822. Copyright 2008. City of Stillwater, Minnesota.